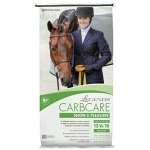 Legends CarbCare Show & Pleasure is a pelleted, fixed ingredient formula specifically designed for mature horses in light to moderate performance, pleasure and show activities. 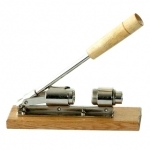 This feed contains 6% fat to provide increased calories for stamina. 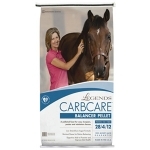 Legends CarbCare Balancer Pellet is a premium pelleted low starch/low sugar feed specially formulated to help keep easy keepers, ponies and minature horses looking and feeling healthy. Legends is a premium horse feed line, formulated with advanced technology and the most comprehensive current research for your horse's nutritional needs. Our Legends CarbCare Feeds are low carbohydrate formula feeds meeting the needs of horses who require a diet low in sugars and starches. 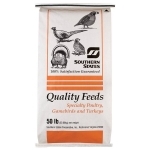 Southern States Horse Pasture Balancer Tub is designed for free-choice feeding to all classes of mature horses. 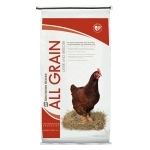 It is scientifically formulated to provide all required nutrients for horses, featuring high quality protein for coat and hoof growth as well as the essential nutrients needed for a balanced diet. Provide one tub for every 25 to 40 horses. During the spring and fall seasons, your livestock may not be getting the magnesium they need from your pastures. Make pasture management an easier proposition with Southern States Cattleman's Select Weathershed Mag-O-Min, a magnesium-rich mineral supplement specifically designed for beef cattle. 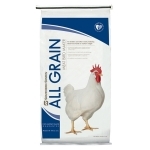 Mineral supplementation is the key to profitability in cattle production. Southern States Cattleman's Pride Weathershed Beef Breeder Mineral w/OTM complements grazing cattle's diet with major minerals they need for healthy, steady growth and weight gain, even in stressed pasture conditions. 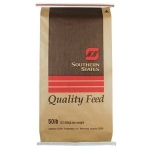 This feed contains high levels of organic chelated manganese, copper, zinc, cobalt and organic slelenium; all important to breeding success.This feed is part of The Beef Connection Program. 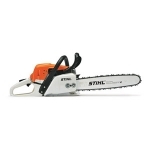 50 lbs. 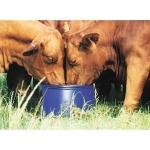 Southern States 24% Beef Tub is formulated for beef cattle fed on a free-choice basis while grazing pastures with adequate forage, receiving silage, hay or green-chop. 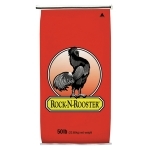 This block is fortified with major and trace minerals and vitamins and contains 24% protein to aid in the prevention of deficiencies. 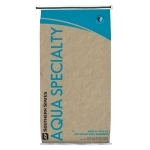 The weatherproof tub protects the supplement from weather and no additional feeder or protection is needed. 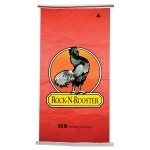 Southern States 24% Beef Tub is best used in the Fall, Winter and Spring. 200 lbs. 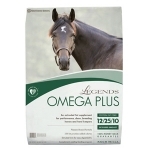 Ensure maximum growth and development for performance, show and breeding horses with Legends Omega Plus Extruded Supplement. This supplement features a flaxseed based formula and contains 25% fat providing a high level of omega-3 fatty acids for anti-inflammatory benefits. 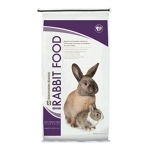 High in vitamin E with balanced levels of calcium and phosphorus to complement any feeding program. For a healthier pond and bigger fish, we recommend using Southern States Lil' Strike Fish Food for supplemental feeding. 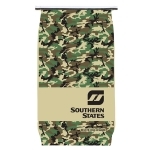 Southern States Lil' Strike is a 36% protein floating fish food which has been formulated specifically for warm water species such as: Largemouth Bass, Bluegill, Sunfish and Catfish. 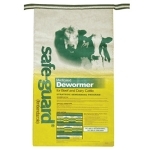 Safe-Guard Dewormer Medicated (0.5%) is a pelleted, multi-specie dewormer for the removal and control of internal parasites in beef cattle, dairy cattle, horses and swine. 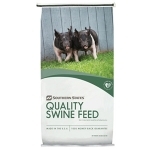 Southern States Pig Developer Medicated is formulated with an appropriate diet for growing pigs. 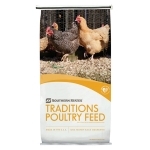 This feed has added medication (aureo) for increased rate of weight gain and improved feed efficiency. 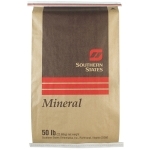 Southern States Pig Developer Medicated is intended to be fed as the sole ration to growing pigs weighing 50 to 150lb.